Chaos, wizardry and a gang of kind-of ghosts are the stars of this hilarious adventure. Noah's mum's new invention can zap anything into a ghost of its former self. It's still there, but you can't see it and you can't touch it. When sinister 'Seerblight Solutions' steal her invention, Noah himself is zapped - and he's not the first to have been turned 'invisible' through the ages. The world is in terrible danger. 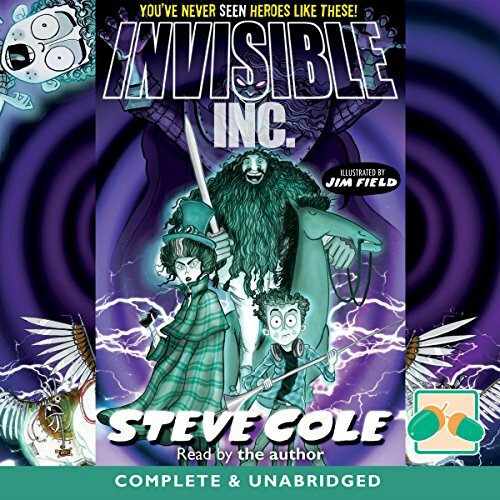 But with a medieval knight, a Victorian inventor, a poetic pony, an ordinary boy and, of course, Invisible Inc. - they can save the world.